With this function, you can insert images in PNG, JPG, and JPEG formats. 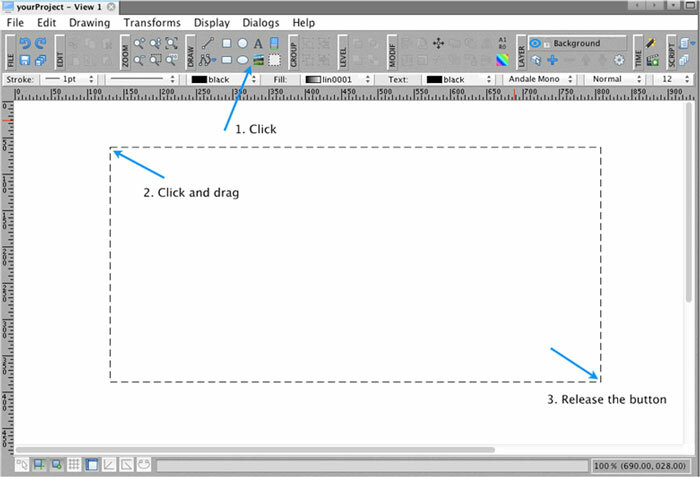 Click on the Insert Image icon in the main toolbar, then click on the canvas, drag the mouse to set the picture size, and release the mouse button. This will open a dialog window to select the picture. 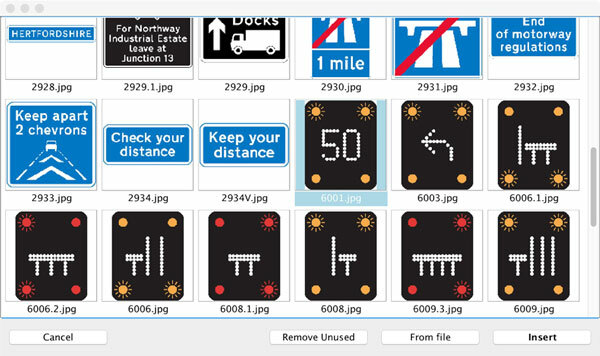 In this dialog, you can see all pictures that you have used in your project. You can add new pictures by clicking on the From File button. TIP: When you want to remove pictures that are not used anywhere in your project, you can use the button “Remove Unused”. If your project does not have any imported pictures yet, an open File dialog will be shown. If you already have pictures in your project, they will be listed in the Picture Chooser Dialog. Either select pictures that have already been imported or import new ones by clicking on the button “From file”. The picture is now on the canvas and can be moved, resized, rotated, etc. like any other object. Note: You can import images in their original size by a single-click on the canvas.